Realtek RTL8188CUS Wireless LAN 802.11n USB Slim Solo is a Network Adapters hardware device. The Windows version of this driver was developed by XAVI Technologies Corp.. USB/VID_04F2&PID_AFF7 is the matching hardware id of this device. 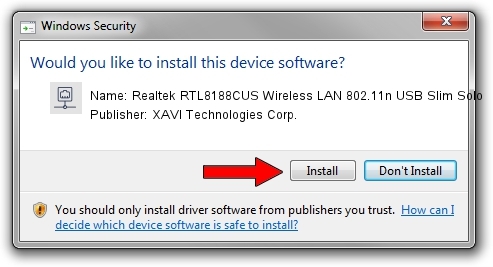 Download the driver setup file for XAVI Technologies Corp. Realtek RTL8188CUS Wireless LAN 802.11n USB Slim Solo driver from the location below. 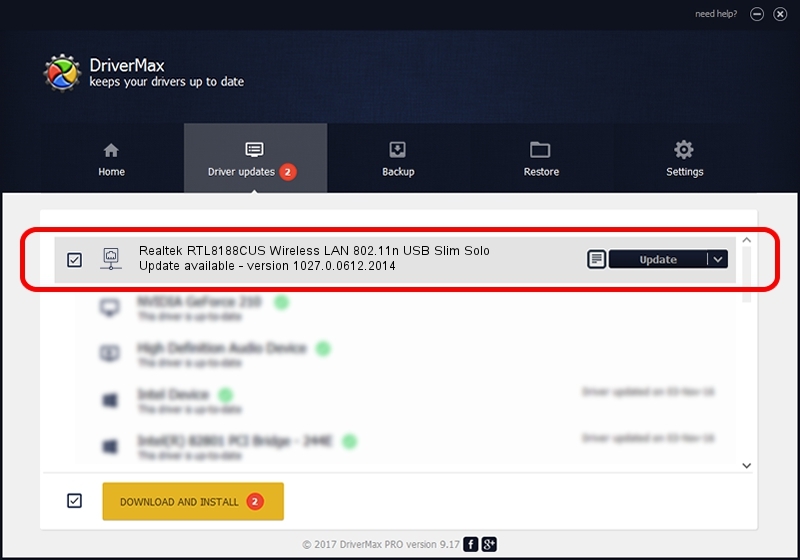 This is the download link for the driver version 1027.0.0612.2014 released on 2014-09-02. This driver was rated with an average of 3.7 stars by 67503 users. Take a look at the list of driver updates. Scroll the list down until you find the XAVI Technologies Corp. Realtek RTL8188CUS Wireless LAN 802.11n USB Slim Solo driver. Click the Update button.